Walk the Talk is a series of themed, facilitated walks exploring topical social issues while enjoying landscape and wildlife on the edge of Clifton. Our group meets on a monthly basis, and consists of members of general public as well as representatives from local agencies and community organisations. Walk the Talk is a great opportunity to discuss current social issues and learn about the work being done in Nottingham while improving your wellbeing. 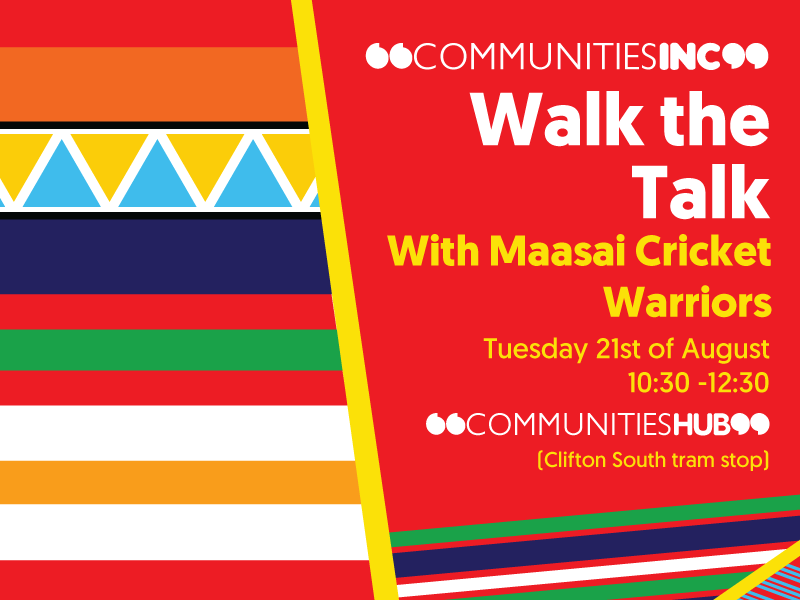 On the 21st of August we will be joined by special guests – Maasai Cricket Warriors. As well as playing cricket, they are also passionate about tackling social issues such as FGM, HIV/AIDS, and child marriage. These are the topics we will discuss during this walk, while exploring landscape and wildlife of the Clifton countryside. Facilitators will be on hand to encourage discussions and at the end of the walk will provide you with refreshments, and record key points discussed during the walk. Previous Walk the Talk: How to ensure continuous support for the refugees and asylum seekers?